Last Tuesday, representatives of the United Arab Emirates, Saudi Arabia, the United States and Afghanistan met in Abu Dhabi to discuss the security and stability of Afghanistan. The details of the meeting were not disclosed, but it was part of the efforts that the whole International Community is making for a peace process that is as inclusive as possible of all the political and non-political actors who have an interest in the security of the country. Zalmay Khalilzad, Special Representative for Afghanistan Reconciliation of the United States, who is undertaking a tour in the Middle East to meet representatives of Afghanistan, Pakistan, the United Arab Emirates and Qatar, expressed satisfaction about the meeting. Russia also hosted a conference, in early November, with diplomats and representatives of the governments of Afghanistan, China, India, Iran, Kazakhstan, Kyrgyzstan, Pakistan, Tajikistan, Turkmenistan, the United States and Uzbekistan. Even the Taliban sent a delegation to the Moscow summit – the group is seeking political legitimacy at the highest level, despite continuing to oppose the work of the Afghan security forces with all means. The United States has an open channel with the Taliban, through Ambassador Zalmay Khalilzad. Attempts were made to include them in the Quadrilateral Coordination Group, which included Afghanistan, China and Pakistan, but without success. Russia, as noted earlier, was able to bring Taliban representatives to Moscow on 9 November. They demanded the complete withdrawal of foreign troops from the country as a condition for any negotiation. This condition is in fact impracticable, considering the continual internal security difficulties Afghanistan is facing. During the parliamentary elections for the lower house in October, featuring around 2,000 candidates for250 seats and seen as a test before the important presidential election next year, 15 people were killed in a suicide attack in Kabul. This attack and other incidents made it difficult for Afghans to go to the polling stations. In the province of Kandahar, the election had to be delayed for a week after the killing of General Abdul Razeq, Kandahar’s police commander, by the Taliban. The group has also been able to attack polling stations with impunity, killing 28 members of the Afghan security forces and rival candidate in the elections. 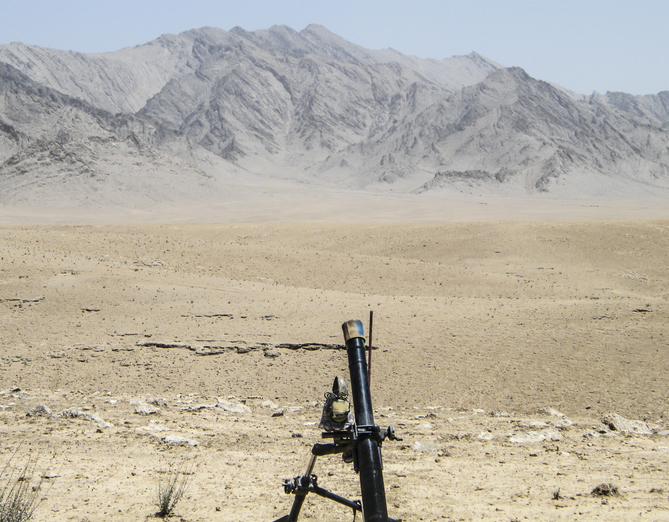 On the border with Tajikistan, meanwhile, in the province of Takhar, there were numerous clashes in August amidst an escalation of violence by militant groups, not the Taliban alone. The porosity of the borders of Afghanistan has become a problem for the neighbouring countries of Tajikistan, Uzbekistan, Turkmenistan and Pakistan. Islamabad’s primary interest is to contain jihadist groups from Afghanistan, starting with Islamic State Khorasan (IS-K), in Afghanistan’s Nangarhar province, which is adjacent to Pakistan’s Federally Administered Tribal Areas. On July 6, the group carried out an attack in Balochistan killing 149 people, making it the second deadliest terror attack in Pakistan’s history. IS-K also directly threatens Iran, which, for this reason, has in fact started to support the Taliban movement. Despite the different ideologies and long-term visions, Tehran considered it preferable to maintain a tactical alliance with the Taliban to contain the jihadist threat at its border. Iran’s move helps to illustrate that the “Afghanistan dossier” is complicated, directly affecting the International Community. The country’s complex ethnic structure, which includes Pashtuns (the majority in the country), Tajiks, Hazaras and Uzbeks, all with different visions, hinders the efforts of the countries that would like to negotiate a stable and lasting peace in the country. Furthermore, there are unhelpful internal divisions within the Taliban. Notably, the role of the Haqqani Network (HN) complicates possible peace negotiations. The strategy of the HN, oriented towards conflict and the use of force against their internal enemies and invaders alike, is a reality that cannot be ignored. This fragmentation makes it difficult to obtain the consent of all the Taliban factions merely to send representatives to further negotiations about the stability of the country. In fact, last February President Ghani unsuccessfully offered the Taliban full political reconciliation in exchange for a ceasefire and the resumption of peace negotiations. The responses to his offer included significant attacks in the provinces of Faryab, Badghis and Farah. The struggle within the Taliban movement and its Quetta shura will not come to an end quickly. There are Taliban leaders who are open to reconciliation, but others are intransigent and do not want any agreement. Mullah Haibatullah Akhundzada attempted to regain control of the movement last February, aiming to contain extremist elements such as mullah Yaqoob and Siraj Haqqani, but the most intransigent elements have declared themselves the only group that can lead jihad in Afghanistan. In this context, Islamic State is ready to wage the dirty war that those in the Taliban who are open to negotiation would not want to conduct. All that said, the summit that took place on 14 November did at least raise the possibility of change and also helped stakeholders to better interpret the wishes and objectives of all the parties and factions involved in Afghanistan.